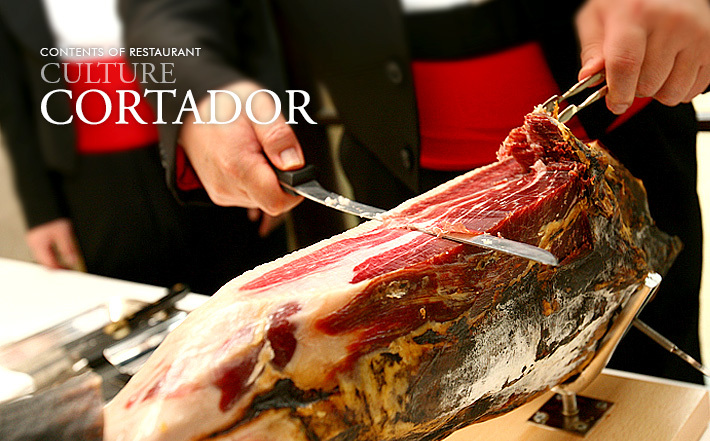 In Spain, there are specialists on Jamón who are called "Cortador". Their technique is often expressed as art. The knives they hold softly runs through the beautiful block of Jamón which are made from complicated process and over many time. The beautifully cut surface is flat as marble stone. It is said, the sensitive texture and even the taste changes by the technique of cutting. 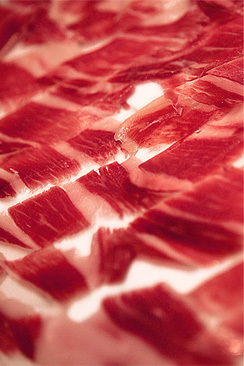 The high technique of a Cortador is indispensable to cutting Jamón and, not only cutting but they are highly skilled in all sides of Jamón. By its inquiring mind and supreme cutting technique, Ogasawara-hakusyaku-tei takes every care to serve the best Jamón.